I somehow wound up with three cards today when I meant to pull one–and what cards! 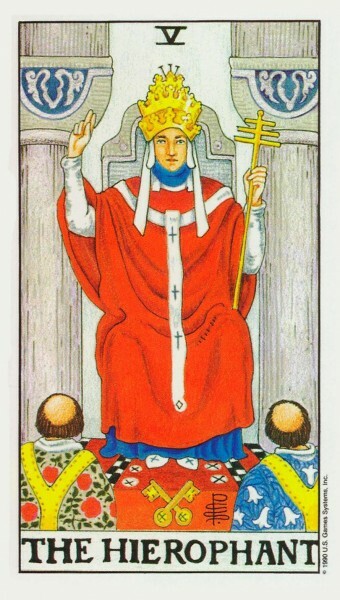 The Hierophant–institutions. 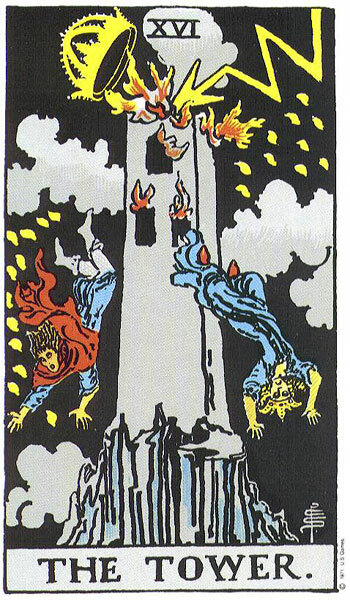 The Tower–a flash of blinding truth, old structures and institutions falling apart. The Sun reversed–well, the Sun is always there for us, but sometimes we can’t see it because there are clouds, or because we are turned away from it. Today, something falls apart because the truth comes out. It’s hard to see the silver lining to this event, but that doesn’t mean that it isn’t there. Form good intentions and use this opportunity, which is literally an unstoppable gift from the gods, to make a fresh start, to shake off the bonds that previously enslaved you, and start over, free, and with boundless possibilities lying ahead of you. I always pull a separate card for the day for myself, personally, and my card for myself today was Intention, from Toni Carmine Salerno’s Universal Wisdom deck. It goes well with these cards. When everything falls apart, you create something new, and the starting place for that is your intentions. 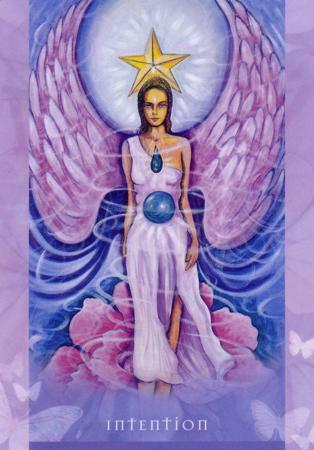 Set your intention, make it very clear, visualize it fully, and then manifest it. 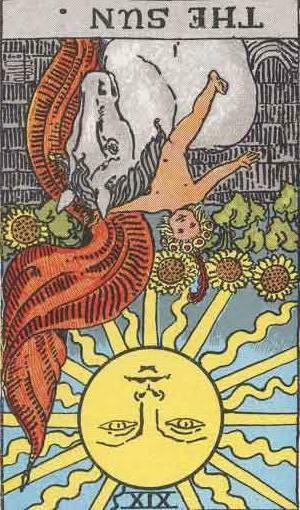 Previous Card for the Day: the Fool, Reversed!